Happy December! It’s beginning to look a lot like Christmas. We had our first dusting of snow this morning and it looks beautiful. We’re here for another Stamp-of-the-Month blog hop. If you came from Dawn’s blog, you’re on the right path. If you’re starting here, just keep clicking the links in each post until you get back here and you’ll have seen all the inspiration we have prepared. 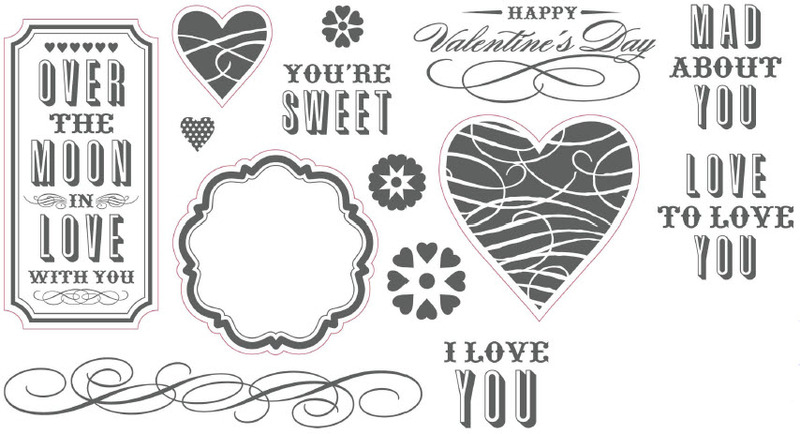 This month’s stamp set will get your thoughts away from Christmas and on to Valentine’s Day. It’s full of lovely images and sentiments. This first one is a 3×6 card. I used Tulip ink and the lighter one is second generation. The sentiment comes from For Every Occasion. This card uses Cotton Candy ink and I double-stamped the image. The sentiment is from Pair-a-Phrase and is masked to get just that one word. I added a line with my Legacy Writer pen. This last card is also done with Tulip. The sentiment is from Say It In Style. What do you think about the line around the outside? I’m not sure I like it. Do you think I should add it to the first card or leave it as is? I have to thank my upline, Sheri Ballantyne, for help with the designs of these cards. Now it’s time to hop on over to Georgia’s blog and check out the fabulous artwork she made. Don’t forget that this stamp set is only available for the month of December. Fabulous cards Krista!! Love the clean & simple! 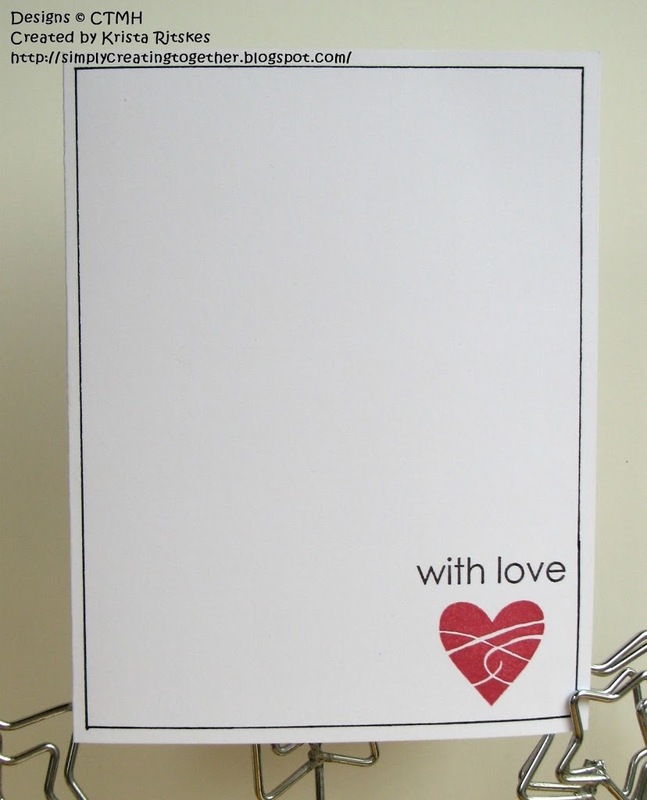 LOVE cards with lots of white space. Great job! 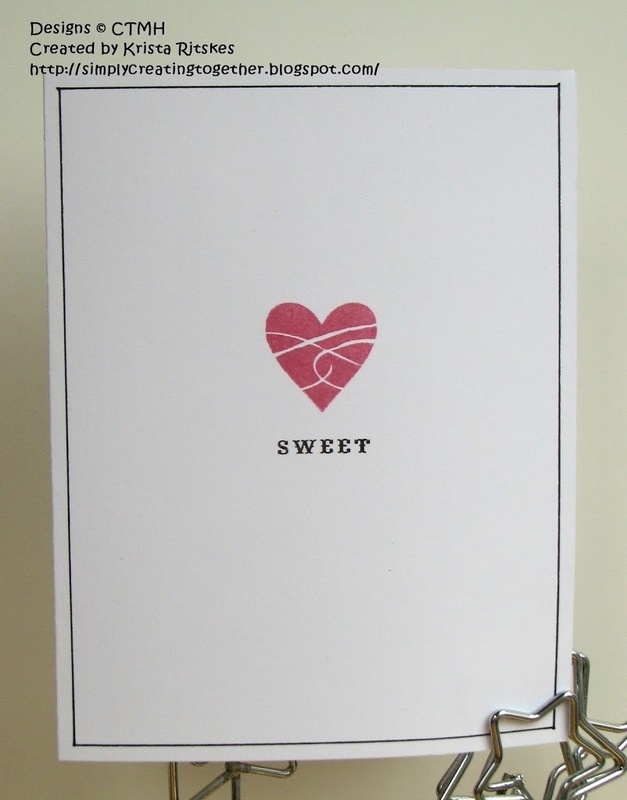 I just love cards that are simple and elegant!! These are perfect!! LOVE your simple cards! They are just perfectly designed. 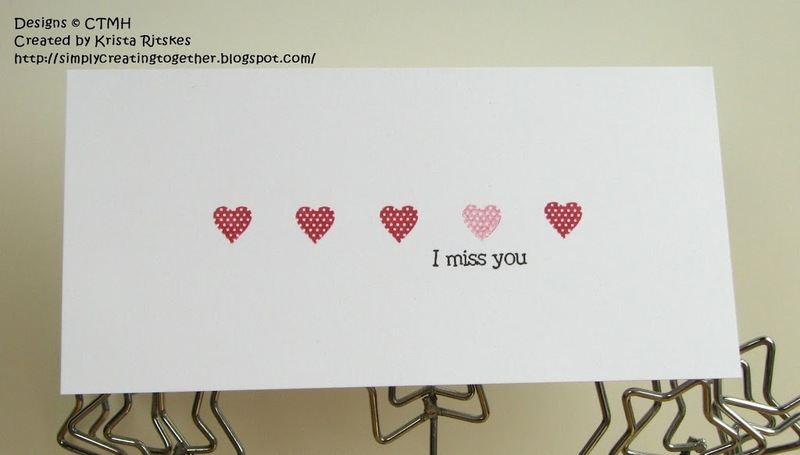 Love how simple these cards are even though they have a large impact!